will they get to leave the stands? In the two years since we learned of college football's impending playoff, we've learned a lot about what to expect come January. We've met the selection committee. We've learned the playoff format and locations. We know how polling will be done. And yet, one major detail has not yet been discussed in public. I wish this weren't even a question, that we could take for granted that the marching bands of the two competing schools would perform midway through the championship game. But ever since the guys on The College Football Athenaeum suggested that the championship game may look to go a Super Bowl-esque route and forego marching bands in favor of a major recording artist, my blood ran cold and I've been emphatically and evangelically in favor of what I deem a proper college football halftime show. It is neither secret nor surprise that I hold this viewpoint, but much like my belief in a championship parade, this goes farther than my own band nerd tendencies. The championship game should be not only the culmination of a season but the quintessence of what we celebrate about the sport, and that includes its pageantry. The Super Bowl will always be the Super Bowl, and over-the-top halftime shows have always been part of their model, even in the beginning where such shows included marching bands. To seek to emulate this would cast college football not as a distinct brand of the same sport, but as the minor league, the little brother of the big show in town. 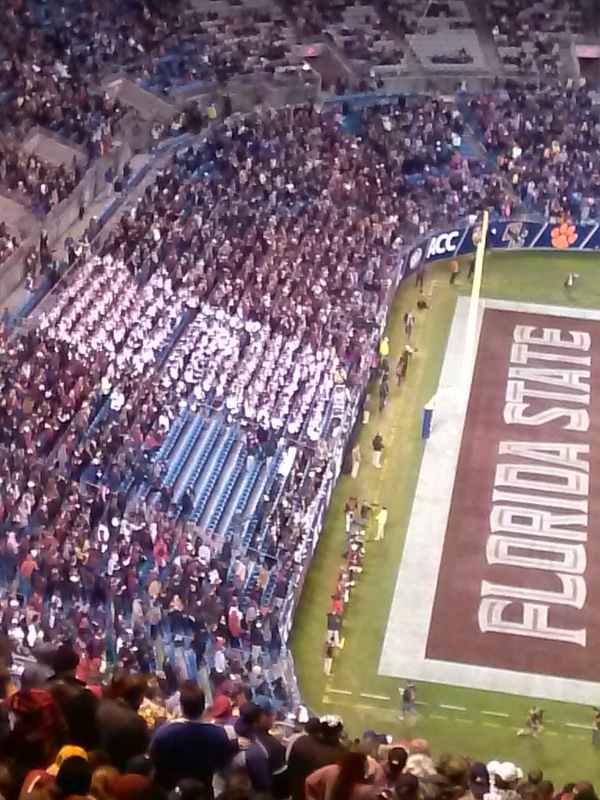 To start the playoff era on the right foot, start it by stepping off on the left with a marching band halftime show.